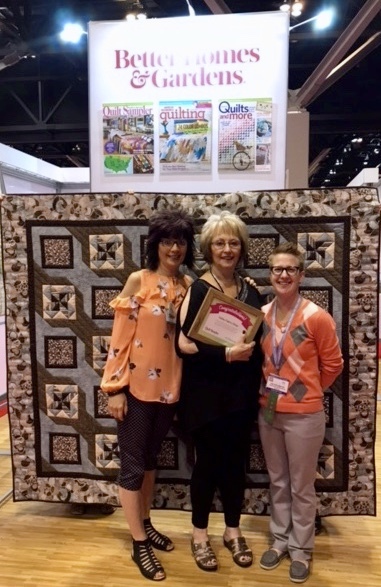 Charla and Bobbi at Quilt Market 2017 being recognized by Quilt Sampler Magazine with the Quilt that was featured with the Store. 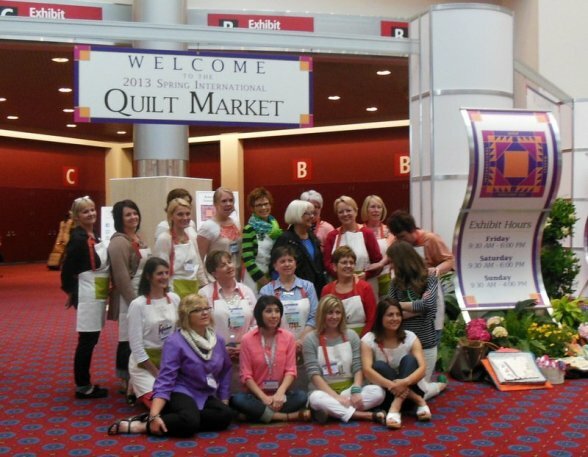 A Who's Who of Moda Designers at International Quilt Market in Portland 2013. 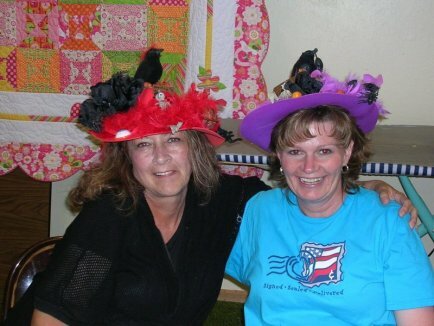 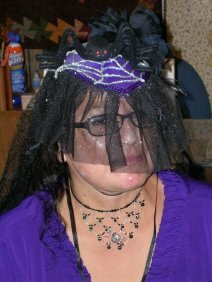 Thank you to all who participated in our Fall Frenzy and came in your lovely Witch's Hats. 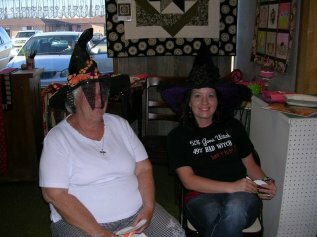 We will make this an annual event! 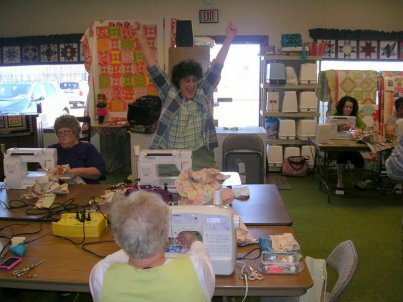 Christmas in July is always a lot of fun at Valley Fabric. 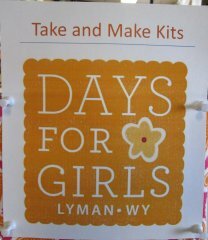 We have lots of new decorating and gift ideas. 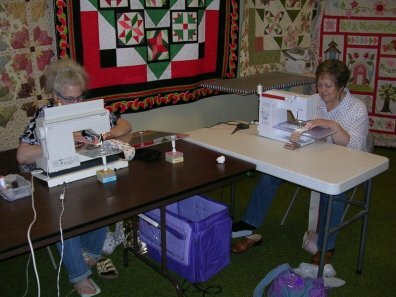 Start on those projects now so you will be ready for the Christmas season. 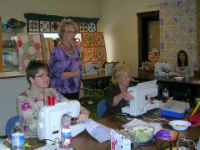 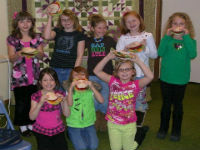 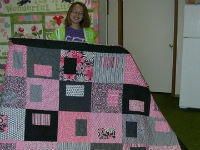 During the school year, Valley Fabric teaches children's quilting and sewing classes. 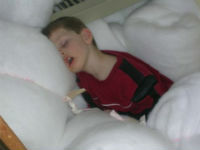 The little boy asleep on fluffy clouds of batting is owner Charla Youngberg's grandson (Boy...quilting's enough to wear a man out!). 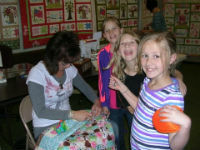 There's always something fun going on at Valley Fabric. 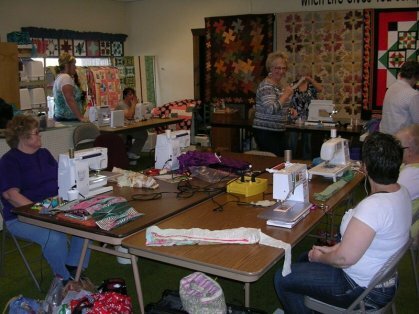 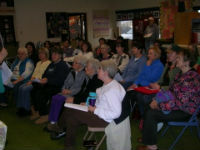 Here, some of our wonderful customers enjoy learning quilting techniques.